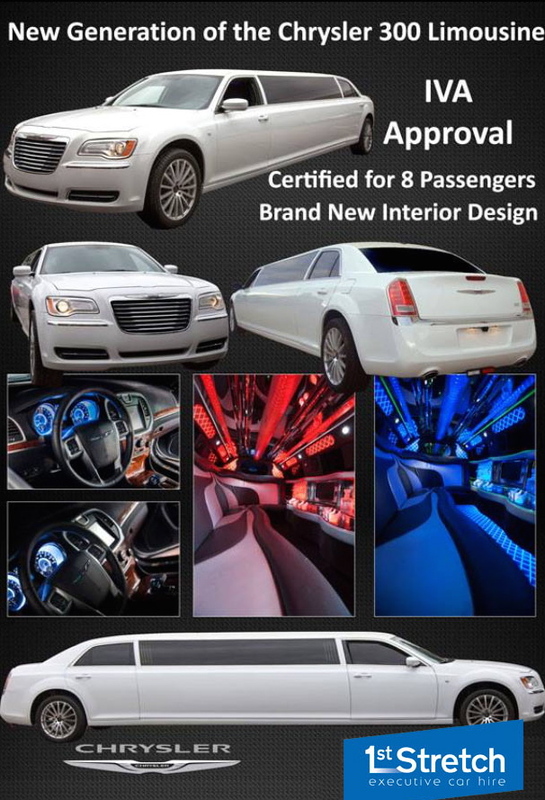 The world's best limo - now even better! And we've one of only two in the UK. The Chrysler makes an ideal wedding & car offering wider and easier entry for a wedding dress. We will supply your choice of ribbon colours, tissues and provide a piece of red carpet as you get into the car. Whenever you need to impress, the all-new Chrysler 300 is the ideal transport for all big celebrations and occasions - weddings, proms, anniversaries, the races, stag & hen dos and trips to London.